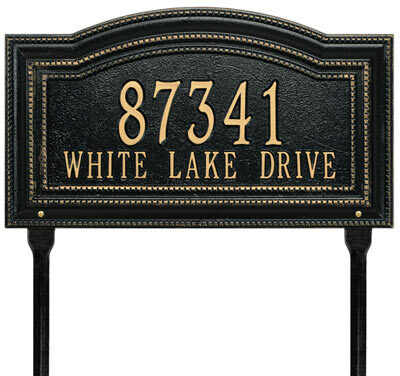 The Whitehall Arbor Arch lawn marker combines the popular arch style with a classic beaded border to give a spectacular frame for your home address. 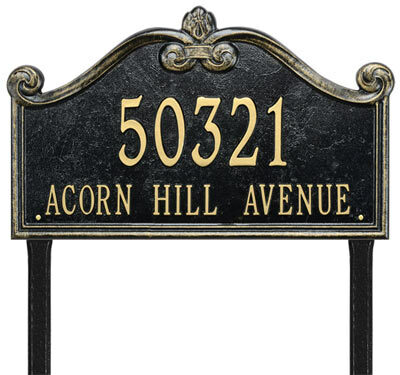 The relief of the frame creates an impressive 3-dimensional appearance to compliment the entryway of your home. 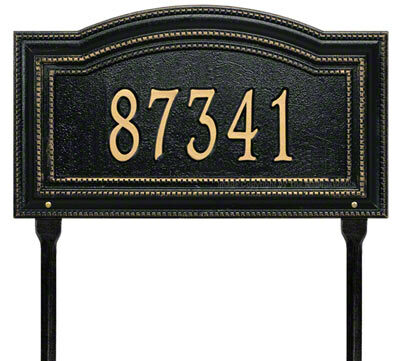 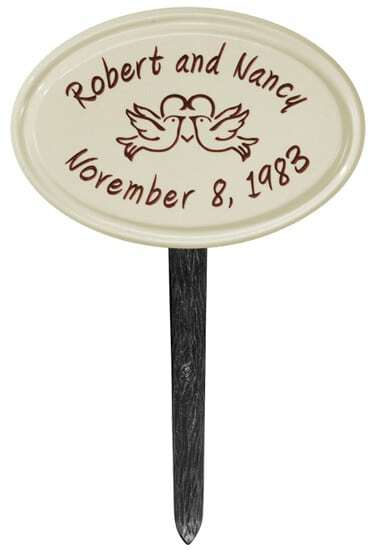 Shown in Black with Gold Letters, the Arbor Lawn Marker comes in 5 finish combinations. 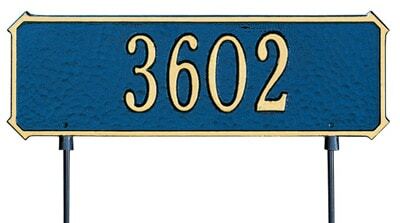 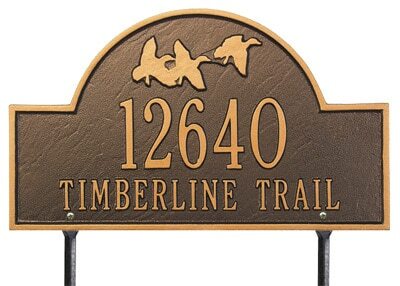 Standard Size Plaque 10.25" 18" 1.25"
Estates Size Plaque 12.875" 24.5" 1.25"